mayela mingi: Sorry, I won't be maintaining this one, I've moved out of town, so I'll leave the space for other geocachers to hide if they want. Where is Sulphur Springs? The images conjure up some smelly water source ala the ones in Yosemite. 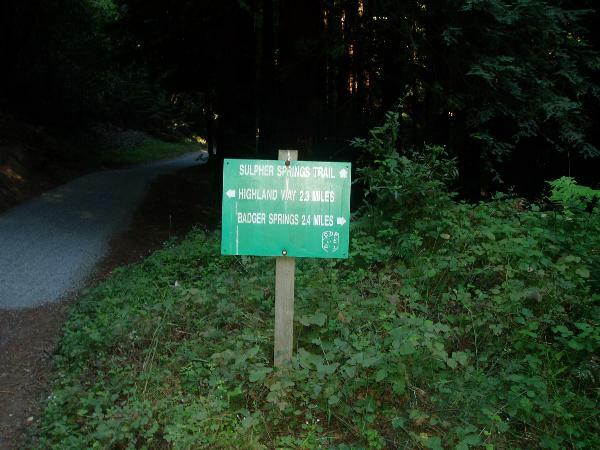 This is on the grueling Soquel Demonstration forest, although if you come in on the fire road, Hihn's Mill Road, and back, its not that tough. The lower end of the trail, cache near here in clump of trees. It had been my intention to find Sulphur Springs ever since I was training for my one and only marathon, usually running on Nisene Marks trails. I kept running out of water, and wished there was an easy way to find fresh water to drink. I was hoping a spring high in the hills would be as clean as it gets. Well I never made it during my training days, I reached Ridge trail, but by then it was time to head back down to Aptos. So today it was Sulpher Springs or bust. I drove to Buzzards Lagoon road, and biked the ridge to find a couple of new caches, then went up and down Sulphur Springs road a couple of times looking for it. I had my trustee coffee can I was going to use as a geocache container, and I was tired of carrying it in my backpack up and down the trails. 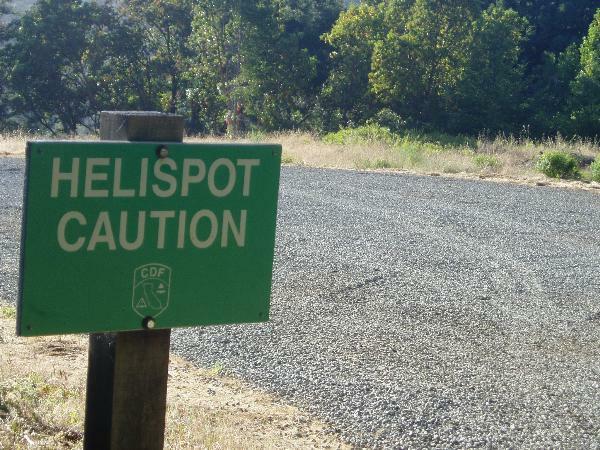 While searching, I did find a helispot, of all things, very near to where the Spring is supposed to be. I found low spots with lots of ferns, but no bubbling water. So I left it at the trailhead in typical caching fashion. Maybe the spring will show itself this winter during the rainy season. I ran into this interesting spot looking for Sulphur Springs. Bgure fvqr bs genvy sebz gur fvta. Va pngurqeny bs Erqjbbq gerrf.